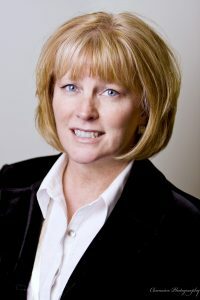 Brenda Van Gorder has been the director of Granite School District Preschool Services in Salt Lake City, Utah for 14 years. Nationally recognized, high-quality practices have been implemented under her direction. Ms. Van Gorder regularly presents on topics related to early childhood, pay for success, and special education at the local, state, and national level. Ms. Van Gorder is involved in leadership capacities with numerous state level committees and workgroups including: Early Childhood Utah Advisory Board, Salt Lake County Mayor’s Office, Utah School Readiness Board, United Way of Salt Lake, Utah State Special Education Finance Committee, Early Learning Network in South Salt Lake, and Intergenerational Poverty. 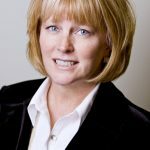 Ms. Van Gorder has authored and co-authored numerous articles on coaching, early childhood, and special education topics that have appeared in professional publications. ED: How did you begin your career in Early Learning / Early Childhood Special Education? Brenda: I knew I wanted to work with young children with disabilities, but in the early 1980s there were very few University programs geared toward young children with disabilities. As part of my Master’s program in special education, my advisor and I pieced together an emphasis in early childhood by being creative and connecting with other Departments in the University. When I went to look for my first job, there really weren’t any available specifically working with preschoolers with disabilities so I worked in an elementary school with children with autism. Then our state started pilot programs for preschoolers with disabilities, and I never looked back. Eventually I ended up working as Utah’s State Preschool Special Education Coordinator where one of my priorities was helping districts think through how they could implement preschool inclusion. There were many challenges, especially in a state that didn’t have a state-funded general preschool program. ED: Why do you and your district believe that inclusion for young children with disabilities is so important? Brenda: When I interviewed for my current position, which included visiting with school board members and interviews with administrative leadership, and shared my vision for creating more inclusive options for young children with disabilities, the vision wasn’t a hard sell. Leaders in the district understood the evidence about why it is so clear that children with disabilities thrive when they are educated with their typically developing, same-aged peers. The district had been doing this in K-12 classrooms. They understood the importance of children with disabilities having access to the same curriculum as their same-aged peers, and having opportunities to not just advance academically but to gain social skills with peers in meaningful ways. They understood it wasn’t just the legal thing to do; it was the right thing to do. So when I proposed that we needed to develop a full continuum of services and programs (including inclusive opportunities) for preschoolers with disabilities, they liked the vision but hadn’t wrapped their heads around how it was going to work. ED: What are some of the challenges to preschool inclusion that your district has experienced and what strategies have you tried to overcome these? Brenda: When I started, the district had three distinct preschool programs: one funded by Title I dollars, another that was tuition based (parents paid tuition), and the preschool special education program. The first challenge was how to bring these three programs together to create a cohesive preschool program with inclusive options for children with disabilities. Initially we conducted listening sessions so that all involved could be heard. There was a lot of fear and concern about inclusion on the part of staff and parents. General education teachers were fearful that they’d spend too much of their time adapting curriculum and activities for children with disabilities and wouldn’t know what to do with challenging behavior. Special education teachers were concerned they were going to be obsolete. Their role was changing—in switching to more of a co-teaching or consultant model—would they be effective? Would professional development be available to them in their new role? Parents of children without disabilities were fearful that the curriculum would be “watered-downed” and too much energy would go toward meeting the needs of children with disabilities. Eventually through the listening sessions we were able to approach fear, dispel rumors and myths, and develop solutions and supports for parents and teachers. Next, we had to tackle the financial aspect of braiding funds across these three programs so we could strike a balance and ensure funds for each program were used appropriately. A successful strategy we used was to develop cross-program formal agreements, so we don’t have to negotiate the finances every year. We built internal agreements with the philosophy that preschool belongs in our district and ALL preschoolers will have the opportunity to be at their neighborhood preschool first, and if there wasn’t one, then the next closest school. For example, I’m not housed in special education or in the Title I office, but we developed a formula for the amount of federal IDEA funds that would go to preschoolers and determined upfront that eight and a half percent of our district Title I dollars would go toward our preschool program. I don’t have to make the case every year. When I started, we had 30 preschool classrooms and now we have 90. All of our Title I schools have at least one preschool; and we have the full continuum of placement options for our preschoolers with disabilities. Where we needed to have a special education preschool class, we ensured that there was a general preschool class in that building—so that children with disabilities in that setting maximize their time with same age peers. Another challenge has been finding space for our preschool classrooms. Our district has 64 elementary schools and there are a lot of different groups elbowing for space. Early on, I started to attend district meetings about space and began to educate those who made space decision about an appropriate preschool space. For example, you can’t have a preschool class in a portable without running water. Now whenever the district is renovating or building a school, it is a given that there will be two preschool classrooms in each building!! ED: What recommendations do you have for other communities interested in expanding inclusive opportunities for young children with disabilities? Enlist families to tell the story of inclusion. Stories from families whose children with and without disabilities have experienced a high-quality inclusive preschool can be powerful. Keep the end goal in mind. What would it look like to have accomplished the full range of services and continuum for preschoolers with disabilities? What pieces do we already have? What is missing? What are the barriers to getting these? Take enough time to be thoughtful but get started. Some districts do pilots but we went full on. It is better to try to work out the bugs while implementing rather than waiting for it to be perfect. Improvement comes with time and you can’t wait for one more cohort of preschoolers with disabilities to not benefit from inclusion and be with their peers. Be sure to hire staff that are committed to inclusion and the full continuum of services, and then support your staff. Listen to their needs and determine if they need additional professional development as their roles change overtime.